Here at Davley Organics we strive to make the scientific data, reports and articles as digestible as possible. We know our farmers and commercial users are busy and always on the move, so if you don’t have the time to peruse our site, please find below links to all the most pertinent documentation to download and read when you have the time. We start with the basics, going through to the longer and more comprehensive scientific data. The plant growth stimulants, the cationic exchange rate and the soil benevolent biota. Biota – Micro-organisms beneficial to the soil. Cationic Exchange Rate – Exchange rate at which trace elements (cationic = positive) are attracted to vegetative matter (anionic = negative). During the vermicomposting process when organic matter passes through the worm’s gut, it undergoes physico-chemical and biochemical changes by the combined effect of earthworm and microbial activities. Vermicasts are coated with mucopolysaccharides and enriched with nutrients. The cellulolytic, nitrifying and nitrogen fixing microbes are found established in the worm cast. Earthworms directly cycle the nitrogen by excretion in the casts, urine and mucoprotein and through the turnover of earthworm tissues. Earthworms increase the amount of mineralized nitrogen from organic matter in soil. The microbial composition changes qualitatively and quantitatively during passage through the earthworm intestine (Pedersen and Hendriksen, 1993). Vermicompost also contained Mg, Ca, Fe, B, Mo and Zn in addition to some of the plant growth promoters and beneficial microflora. Several valuable compounds were also produced through the earthworm – microfloral interaction, which included vitamins such as B12 and plant growth hormones such as gibberellins. Many researchers have found that vermicast stimulates further plant growth even when the plants are already receiving optimal nutrition. Vermicomposts have consistently improved seed germination, enhanced seedling growth and development, and increased plant productivity. Vermicompost includes plant-growth regulators which increase growth and yield. In simple terms this means that trace elements are attracted to vermicast and readily bond to it in the same way that opposite poles of a magnet attract each other. Plants have a stronger pull than the vermicast and can therefore draw the trace elements away from the vermicast and into their roots. Within a year of application of vermiculture technology to the saline soil, 37% more N, 67% more P2O5 and 10% more K2O were recorded as compared to chemical fertilizer (Phule, 1993). Atiyeh et al. (2000) found that compost was higher in ammonium, while Vermicompost tended to be higher in nitrates, which is the more plant-available form of nitrogen. Similarly, work at NSAC by Hammermeister et al. (2004) indicated that “Vermicomposted manure has higher N availability than conventionally composted manure on a weight basis”. The latter study also showed that the supply rate of several nutrients, including P, K, S and Mg, were increased by vermicomposting as compared with conventional composting. The biota introduced to the soil in vermicast (or its derivatives) can work away out of sight, releasing the minerals already there and trapping free nitrogen from the atmosphere. Vermicasts are excellent media for harbouring N-fixing bacteria (Bhole, 1992). Vermicompost can be as much as 1000 times as microbially active as conventional compost. These are microbes which are much better at transforming nutrients into forms readily taken up by plants than you find in compost – because we’re talking about thermophillic microbes in compost – so that the microbial spectrum is quite different and also much more beneficial in a Vermicompost. Edwards and Arancon (2004) report that “…we have researched the effects of relatively small applications of commercially-produced vermicomposts, on attacks by Pythium on cucumbers, Rhizoctonia on radishes in the greenhouse, and by Verticillium on strawberries and Phomopsis and Sphaerotheca fulginae on grapes in the field. Earthworms not only disperse microorganisms important in food production but also associated with mycorrhizae and other root symbionts, biocontrol agents and microbial antagonists of plant pathogens as well as microorganisms that act as pests (Edwards and Bohlen, 1996). Four research articles were found where fungus control using worm castings was carried out under close academic protocol. Phytophthora nicotiniae3, fusarium oxysporum4, sclerotinia sclerotium5, and sclerotum cepivorum6, were able to be controlled with the use of earthworm castings. Fungus control in inoculated soil tests was not achieved when too little of the earthworm castings were used. The 20% level (one inch layer) that the field tests showed effective was confirmed as an effective concentration in the research articles. Improved Application and Further Tests: Several rose applications with definite fungus problems were tested with the same 20% application and showed clear improvement in less than 30 days. Using worm castings for insect repellence. Chitin is a compound that makes up the main component of the exoskeleton of insects. Chitosan is a compound that is created from the breakdown of chitin. Chitinase is the naturally occurring enzyme that breaks chitin down into chitosan. These worm castings contain enzymes known as various forms of chitinase of which insects have a strong aversion. The worm castings also have the ability to activate multiplication of the chitinase-producing bacteria found naturally in plants. Testing has shown that the natural level of chitinase found in most plants is not sufficient to repel insects. The level of chitinase is multiplied to a repulsion level with the use of worm castings. The level of the chitinase enzyme for effective repellence is in the range of 1 million cfu/gdw (Colony Forming Units/ gram dry weight). Worm castings were submitted for tests to determine the level of the chitinase enzyme production. The tests showed concentrations of chitinase in the range of 54 million CFU/gdw. This is concentration is over 50 times the estimated level for repellence. It was observed that ants refuse to cross a layer of worm castings. It has been found that worm castings can be used effectively to repel insects that feed on the internal liquid or nectar of various plants. These include a large array of insect pests including white fly, aphids, spider mites, fruit flies, and other nectar-sucking insects. When worm castings are put into the soil of the plant feeding area (stem to drip line), the evidence indicates that the worm castings activate an increase in the internal concentration of chitinase. The level of chitinase in the nectar of leaves before treatment with worm castings is low. When the chitinase concentration is low, insects are not repelled. The increase in the chitinase level on small plants to a level sufficient to repel small insects occurs in a few weeks. The increase in the level of chitinase in large plants sufficient to repel the insects takes longer. The time to increase the level of chitinase in a large plant such as a full grown hibiscus can take several months and trees will take longer. The pollination nectar and pollen do not appear to get an increased level of chitinase producing organisms with the use of worm castings. White fly infested hibiscus plants were treated with worm castings. Worm castings were applied in a ½ inch layer from the stems to the drip line. In about two months all white fly residue and cocoons were gone. White flies from neighbouring plants, which had not been treated, would fly around the treated leaves but not land on these leaves. Reduced use of ‘water for irrigation’ as application of Vermicompost over successive years improved the ‘moisture holding capacity’ of the soil. · Reduced ‘pest attack’ (by at least 75%) in crops applied with Vermicompost. Cauliflowers grown on Vermicompost remain 95% ‘disease free’. Late Blight (fungal disease) in banana was almost reduced by over 95%. · Reduced ‘termite attack’ in farm soil especially where worms were in good population. · Faster rate of ‘seed germination’ and rapid seedlings growth and development. · Greater numbers of fruits per plant (in vegetable crops) and greater numbers of seeds per ear (in cereal crops), heavier in weight-better in both, quantity and quality as compared to those grown on chemicals. · Fruits and vegetables had ‘better taste’ and texture and could be safely stored up to 6-7 days, while those grown on chemicals could be kept at the most for 2-3 days. · Flower production (commercial floriculture) was increased by 30-50% @ 15-20 quintal/hectare. Flower blooms were more colorful and bigger in size. Points made by Mike Leslie – Commercial apple farmer in the Free State using vermiculture. By incorporating vermicomposting and worm-casting tea in its apple production system, Clan Leslie Estate has improved its fruit quality, reduced input costs and improved the soil and tree health in its orchards. Incorporating earthworms has increased yields from 50t/ha to 75t/ha in Pink Lady apples, and by 15t/ha in other varieties. a) High levels of bio-available nutrients for plants: Vermicompost contains most nutrients in plant-available forms such as ‘nitrates’ (N), ‘phosphates’ (P), ‘soluble’ potassium (K), & magnesium (Mg) and ‘exchangeable’ phosphorus (P) & calcium’ (Ca) (70 & 73). Vermicomposts have large particulate surface areas that provides many micro-sites for microbial activities and for the strong retention of nutrients (13 & 14). b) High level of beneficial soil microorganisms promoting plant growth: Vermicomposts are rich in ‘microbial populations & diversity’, particularly ‘fungi’, ‘bacteria’ and ‘actinomycetes’ (45; 50; 154; 166 & 188). Teotia (187) and also Parle (134) reported bacterial count of 32 million per gram in fresh vermicast compared to 6-9 million per gram in the surrounding soil. Scheu (154) reported an increase of 90% in respiration rate in fresh vermicast indicating corresponding increase in the microbial population. Suhane (182) found that the total bacterial count was more than 1010per gram of vermicompost. It included Actinomycetes, Azotobacter, Rhizobium, Nitrobacter & phosphate solubilizing bacteria which ranged from 102 – 106per gm of vermicompost. The PSB has very significant role in making the essential nutrient phosphorus (P) ‘bio-available’ for plant growth promotion (147). 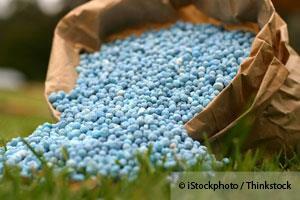 Although phosphates are available in soils in rock forms but are not available to plant roots unless solubilized. Pramanik (138) studied the microbial population in vermicompost prepared from cow dung and municipal solid wastes (MSW) as substrates (raw materials) and found that it was in highest abundance in cow dung vermicompost. The total bacterial count was 73 x 108 , the cellulolytic fungi was 59 x 106 and the nitrogen-fixing bacteria was 18 x 103 . It was least in vermicompost obtained from MSW. The total bacterial count was 16 x 108 , the cellulolytic fungi were 21 x 106 and the nitrogen-fixing bacteria were 5 x 103. Application of lime in the substrate enhanced the population of all above mentioned microbes irrespective of the substrates used for vermicomposting. Plant growth promoting bacteria (PGPB) directly stimulates growth by nitrogen (N) fixation, solubilization of nutrients, production of growth hormones such as 1-aminocyclopropane-1-carboxylate (ACC) deaminase and indirectly by antagonising pathogenic fungi by production of siderophores, chitinase, ß-1,3-glucanase, antibiotics, fluorescent pigments and cyanide (95). There is also substantial body of evidence to demonstrate that microbes, including bacteria, fungi, actinomycetes, yeasts and algae, also produce ‘plant growth regulators’ (PGRs) such as ‘auxins’, ‘gibberellins’, ‘cytokinins’, ‘ethylene’ and ‘ascorbic acids’ in appreciable quantities and as their population is significantly boosted by earthworms large quantities of PGRs are available in vermicompost (79). c) Rich in growth hormones: Biochemical stimulating total plant growth: Researches show that vermicompost further stimulates plant growth even when plants are already receiving ‘optimal nutrition’. Vermicompost has consistently improved seed germination, enhanced seedling growth and development and increased plant productivity much more than would be possible from the mere conversion of mineral nutrients into plant-available forms. Arancon (12) found that maximum benefit from vermicompost is obtained when it constitutes between 10 to 40% of the growing medium. Neilson (126 & 127) and Tomati (192) have also reported that vermicompost contained growth promoting hormone ‘auxins’, ‘cytokinins’ and flowering hormone ‘gibberellins’ secreted by earthworms. It was demonstrated by Grappelli (90) & Tomati (190;191 & 192) that the growth of ornamental plants after adding aqueous extracts from vermicompost showed similar growth patterns as with the addition of auxins, gibberellins and cytokinins through the soil. d) Rich in humic acids: Biochemical promoting root growth & nutrient uptake: Atiyeh (17; 18 & 19) speculates that the growth responses of plants from vermicompost appears more like ‘hormone-induced activity’ associated with the high levels of humic acids and humates in vermicompost rather than boosted by high levels of plant-available nutrients. This was also indicated by Canellas (49) who found that humic acids isolated from vermicompost enhanced root elongation and formation of lateral roots in maize roots. Pramanik (138) also reported that humic acids enhanced ‘nutrient uptake’ by the plants by increasing the permeability of root cell membrane, stimulating root growth and increasing proliferation of ‘root hairs’. e) Vermicompost is free of pathogens: Nair (125) studied that 21 days of a combination of thermocomposting and vermicomposting produced compost with acceptable C:N ratio and good homogenous consistency of a fertilizer. The study also indicated that vermicomposting leads to greater reduction of pathogens after 3 months upon storage. Whereas, the samples which were subjected to only thermofilic composting, retained higher levels of pathogens even after 3 months. f) Vermicompost is free of toxic chemicals: Several studies have found that earthworms effectively bioaccumulate or biodegrade several organic and inorganic chemicals including ‘heavy metals’, ‘organochlorine pesticide’ and ‘polycyclic aromatic hydrocarbons’ (PAHs) residues in the medium in which it inhabits. g) Vermicompost protects plants against various pests and diseases: There has been considerable evidence in recent years regarding the ability of vermicompost to protect plants against various pests and diseases either by suppressing or repelling them or by inducing biological resistance in plants to fight them or by killing them through pesticidal action (3 & 5). i) Induce biological resistance in plants: Vermicompost contains some antibiotics and actinomycetes which help in increasing the ‘power of biological resistance’ among the crop plants against pest and diseases. Pesticide spray was significantly reduced where earthworms and vermicompost were used in agriculture. (168 & 182). ii) Repel crop pests: There seems to be strong evidence that worms varmicastings sometimes repel hard-bodied pests (3 & 12). Edwards & Arancon (74) reports statistically significant decrease in arthropods (aphids, buds, mealy bug, spider mite) populations and subsequent reduction in plant damage, in tomato, pepper and cabbage trials with 20% and 40% vermicompost additions. George Hahn, doing commercial vermicomposting in California, U.S., claims that his product repels many different insects pests. His explanation is that this is due to production of enzymes ‘chitinase’ by worms which breaks down the chitin in the insect’s exoskelton (124). iii) Suppress plant disease: Edwards & Arancon (74) have found that use of vermicompost in crops inhibited the soil-born fungal diseases. They also found statistically significant suppression of plant-parasitic nematodes in field trials with pepper, tomatoes, strawberries and grapes. The scientific explanation behind this concept is that high levels of agronomically beneficial microbial population in vermicompost protects plants by out-competing plant pathogens for available food resources i.e. by starving them and also by blocking their excess to plant roots by occupying all the available sites. This concept is based on ‘soil-foodweb’ studies pioneered by Dr. Elaine Ingham of Corvallis, Oregon, U.S. (http://www.soilfoodweb.com). Edwards and Arancon (74) reported the agronomic effects of small applications of commercially produced vermicompost, on attacks by fungus Pythium on cucumber, Rhizoctonia on radishes in the greenhouse, by Verticillium on strawberries and by Phomposis and Sphaerotheca fulginae on grapes in the field. In all these experiments vermicompost applications suppressed the incidence of the disease significantly. They also found that the ability of pathogen suppression disappeared when the vermicompost was sterilized, convincingly indicating that the biological mechanism of disease suppression involved was ‘microbial antagonism. Szczech (186), Orlikowski (130) Rodriguez (148) and Zaller (213) also found that the aqueous extracts of vermicomposts depress soil-borne pathogens and pests. They found in their field experiment that only half as many plants of tomatoes sprayed with aqueous extract of vermicompost were infected with Phytopthora infestans (that cause ‘late-blight’ disease) as those of control ones. 4). Vermiculture Can Promote Sustainable Agriculture and Completely Replace Chemical Agriculture : Some Experimental Evidences by Studies on Potted & Farmed Cereal & Vegetable Crops. All credit to the author By Dr. Mercola and Mercola.com the excerpt is re posted in its original state. I recently interviewed Dr. Elaine Ingham,8 an internationally recognized expert on the benefits of sustainable soil science. I also recently visited her at her new position at the Rodale Institute in Pennsylvania. According to Dr. Ingham, a key component of successful agriculture lies in having the right helper organisms in the soil; beneficial species of bacteria, fungi, protozoa, beneficial nematodes (not the weedfeeders), microarthropods, and earthworms—all of which contribute to plant growth in a number of different ways. Nutrient cycling is another major issue. According to Dr. Ingham, there’s no soil on Earth that lacks the nutrients to grow a plant. She believes the concept that your soil is deficient and needs added phosphorus or nitrogen etc in order to grow plants is seriously flawed, and largely orchestrated by the chemical companies, because it’s based on looking at the soluble, inorganic nutrients that are partly present in your soil. “It’s very necessary to have these organisms. They will supply your plant with precisely the right balances of all the nutrients the plant requires. When you start to realize that one of the major roles and functions of life in the soil is to provide nutrients to the plants in the proper forms, then we don’t need inorganic fertilizers. We certainly don’t have to have genetically engineered plants or to utilize inorganic fertilizers if we get this proper biology back in the soil. Interestingly enough, you can use a starter culture to boost the fermentation and generation of beneficial bacteria much in the same way you can boost the probiotics in your fermented vegetables. For compost, this strategy is used if you want to compost very rapidly. In that case, you can use a starter to inoculate the specific sets of organisms that you need to encourage in that compost. For optimal physical health, you need plant foods to contain the full set of nutrients that will allow the plant to grow in a healthy fashion, because that’s the proper balance of nutrients for us human beings as well. Dr. Ingham has written several books on this topic, including The Field Guide for Actively Aerated Compost Tea, and The Compost Tea Brewing Manual. Find-it Promotions, organisers of the annual Davley Organics Garden and Flower Fair is featured this month in the June edition of the Get-It Lowveld Magazine. The Mayday Meander was a great success, congrats on a fantastic event guys, looking forward to next year. Take a look at Find-It Promotions full post here. 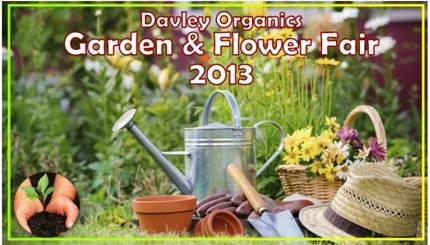 The second annual Davley Organics Garden and Flower Fair showcases, once again, all there is in landscaping, garden trends, garden accessories, services specialised plants / flowers, floral design and more. The 2012 fair was a great success and this year, hosted again at Riverside Mall, is sure to be an even bigger and grander event. The Fair is not just about flowers and plants, but a floral extravaganza! Numerous activities are planned which tie in with the whole theme. So come on down, bring the kids, there will be a little something for everyone. Retailers, landscapers, designers, nurseries are encouraged to join the event, an interactive fair which will prove a fun and exciting opportunity to interact with your customers. We would like our exhibitors to let their creative sides go wild.